Ok Folks, here’s the conclusion of the generator series, including understanding diesel and the authors overall recommendations. We hope you found this series helpful! Operational economy depends in part on the cost per unit volume of your fuel. Diesel generators are generally more fuel efficient (quarts burned per hour for a given power output) than gasoline units, but the overall cost efficiency can be lower depending on what the fuel rates are at the pump. 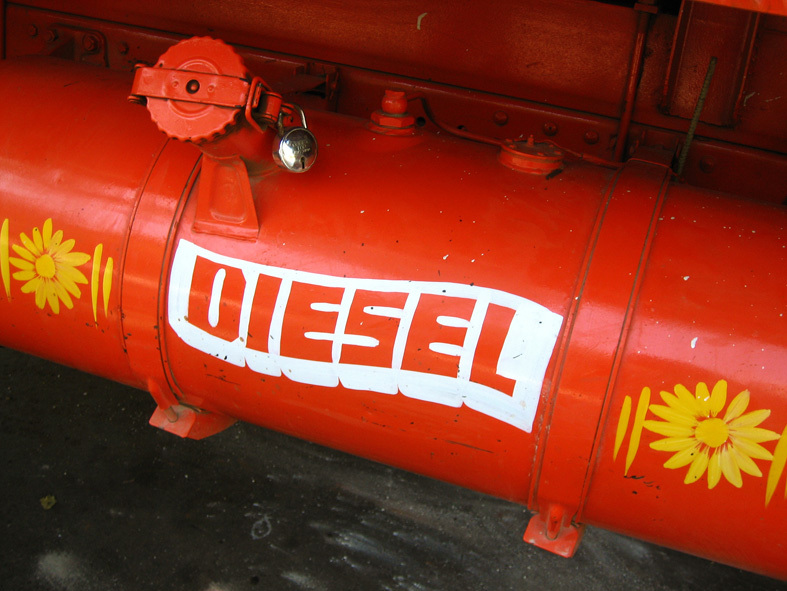 Ag diesel, or “died diesel” or “red diesel” which is only to be used (legally) in agricultural equipment like farm tractors will run a diesel generator just fine and costs much less than automobile diesel because there are no taxes added to the per gallon price. Use of died diesel in street automobiles is not legal and the fines are very high if you are caught doing so. Because a warmed up diesel engine may also be able to run on other fuels such as kerosene, cooking oil and even home heating oil (also generally tax exempt), it gets high marks for flexibility in a TEOTWAWKI environment. 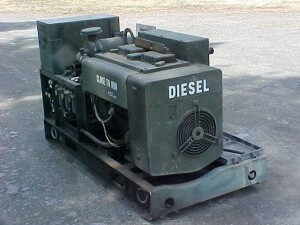 Given the various pros and cons of the different fuels and their associated generators (note that I did not put it the other way around), my preference for an emergency, backup or transportable generator is a diesel-fired unit with an integrated water blocker and sequential fuel filters. I even have a recommended family of units, all military surplus. They are the MEP-002, MEP-003, MEP-004 and even MEP-006 systems, which can be found on auction sites including this one. A MEP-002 is 5kW continuous, 6.25kW peak generator; a MEP-003 is 10kW/12.5kW and so forth. They are all battery start units and ruggedly built. They can be used for 120VAC single phase, 120/240 single phase and 208 VAC three phase which makes them very versatile machines. An MEP-002 can typically be acquired at auction for something under $1000, and a MEP-003 for $1000 to $1200. Often, they have very low hours on them (mine had 163 hours on it, meaning it was barely broken in). A brand new commercially available 10 kW gasoline powered generator will generally set you back more than that, and have a fraction of the usable lifespan. Granted, you may have to drive a ways to pick up your military surplus unit, but the results will be well worth it. Be sure you read and understand the auction site’s rules regarding buyer’s premium (if added) and sales tax for the location currently housing the unit. Some units are trailer mounted so you may have to do title transfer unless you plan to park it in one place indefinitely and don’t care if it isn’t titled in your name. One other consideration is the 24Volt starter on the MEP-00X units. They use two car batteries in series, so to keep them charged, you either need to get a 24V trickle charger, or charge one battery at a time with a 12V charger, or run the generator unit regularly to top them off. The last approach is best because relying on any system that you do not regularly test and maintain is unwise at best and outright dangerous in the worst of situations. The MEP-00X series have a setup where you can draw fuel from the integrated tank or an external source such as a 55-gallon drum and the unit includes the pumps necessary to make this work. Some units will even come with the bung adapter and extra fuel line. Some also come with a long, high capacity power cable. Some have a sound enclosure already installed, so the noise is very tolerable, without having to build your own enclosure. They run at 1800 RPM, consume little fuel and – when properly grounded – have decent EMP protection for the internal circuitry. Spare parts are readily available from a variety of sources. The units are designed to be operated and maintained by high school grads, so no special skills are required (no offense to you high school readers). They are all made to mil-specs and come from some of the best manufacturers out there. They cost you and I (as taxpayers) eight to 15 times what you can get them for at auction, depending on the rated capacity, so it’s your duty to derive some benefit from all that Government spending. Regardless of your choice do your homework, take necessary safety precautions, test the system regularly, rotate liquid fuels if you use them, and keep the tank and generator well maintained. It could be the difference between surviving and thriving in a grid-down world. I took a look at the auction for some gens... most had a condition of 'H7' which was defined as non-servicable or non-repairable - does this mean they won't run or that they just no longer meet the military's minimum standard to keep in service due to age etc (and therefore ok to purchase)? In Back Up Power Generators II I read in the notes that you said bio-diesel needed to be warmed to be able to run a diesel engine. This needs to be corrected. Bio-diesel does not need to be pre warmed to run a diesel engine it’s the Waste Vegetable Oil (WVO) that needs to be pre warmed to run a diesel engine. Bio-diesel was made to be an alternative fuel for diesels just like ethanol (E85) was made to be an alternative fuel for a gasoline engine. Just like E85, bio-diesel is corrosive to rubber parts in a fuel system. Those rubber parts in the fuel system need to be replaced with silicone to prevent fuel system leaks. A good site to check is DRMO, Defense Re utilization Management Office. I believe is the name. Older defense equipment goes on sale to civilians if no one in the Government takes it first. You would be surprised at the stuff you can get. Just an update a lot of the older "US Army" Generator can run on "JP-8" or Kerosene. are not included. Be on the lookout for "operational condition unknown"
a thorough check-out. Be aware that their coding is not always precise. own research on generators and fuels. 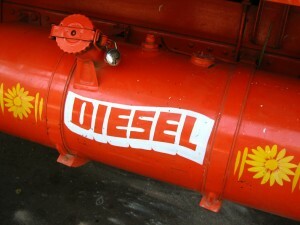 Mr. Blanchard- being a youngin I had know idea that WVO was once called bio-diesel. You learn something new everyday. I never meant to call you out, I was just confused at where you were getting your info. I will continue to read the preparedness pro articles. I have learned much from Kellene and I hope to learn more from guest authors like yourself. WOULD YOU PLEASE LIST YOUR SOURCES FOR PARTS FOR MEP-003.I CAN NOT FIND ANY OTHER THAN FILTERS. Personally, I have no idea what an MEP-003 is! Can somebody please tell me what the fuel consumption is for the 5kw models, I been looking for hours and I can't find this info anywhere. I even read the TM for that gen set, well a good part of it anyway, but saw it nowhere. The author is spot on. If you score one of the 002-3-4 or bigger and can start it up every so often to keep the fuel "alive" you will be passing these units off to your heirs and them to theirs. They are by far the best built generators I have ever worked on. Keep in mind that there are units out there running with 10,0000 and more hours with no issues. ALL AMERICAN MADE. 003A is a 10,000 kw unit. All the information you can imagine is at a site called Steel Soldier. 002A burns 2 quarts per hour at a heavy load, less most of the time. Plenty of great people out there with all sorts of info and common sense. Try to buy a part for a Generac that is twenty years old and you will be laughed at. You will never need a part for thes units after you get one up and running. If you pay a little more up front from someone that buys an sells these unit for a business or hobby you can save yourself some time. If you have some mechanical common sense and patience you can get almost any unit and clean it up and save $. O and they can eat the best Honda for breakfast. Great Post, I hadn't considered using a Mil spec geni.